ECONOMIC AND FINANCE REPORT – Page 49 – Reporting International Business, Economy, Real Estate, Entrepreneurship, Investing and Financials Globally, "Show The Light And The People Shall Follow, To Find The Way" "The Will Of The People"
The super taxation by French government to tax wealthy millionaires has been dissolved or let go recently. France has dropped the tax indefinitely. The tax was levied on having millionaires who were living in France (citizens/nationals) had to pay substantially high tax rates, something of upward of 70%-75% on the current tax rates. The tax was already rejected by the French Supreme Court and it was having major hurdling blocks already, since France is already going through its own economic crisis. 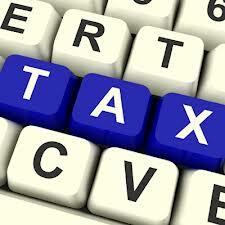 The tax had taken a more drastic effect on an already volatile economy. The increased tax rate already being substantiated by a minority population in France; it still was being rebuked by the majority of the population. Many protests had occured by citizens and people alike, in which they were displeased with the tax. The indicator was that the tax was hurting an already digress economy and not only this, the tax was heavil hurting more businesses not to hire people, and affecting an already growing unemployment figure within the country. FORBES WORLD’S MOST POWERFUL PEOPLE LIST IS OUT 2014 !!!!!!!! The annual Forbes Most Powerful People List is out for the year 2014. Some of the names on the list are listed below…. APARTMENT RENTERS: EXPENSIVE CITY AREAS TO LIVE IN THE U.S.
2) Pasedena, Ca: Nothing like being close to southern LA, and celebrity life. 3) Washington, D.C. The nation’s capitol, why not they government regulates damn near everything anyway, to say the least… Why not place being expensive place to rent an apartment as well. 4) Queens, NYC: Whoo-hoo we made it QU…. The apartment and cost of living is decent Not that expensive, definitely suburban life, houses, yards, garage, drive way…. I should know, I’m from there…. 5) San Diego, Ca: Nothing like living in Southern California, sun, beaches, good life…..
6) Newport Beach, Ca: That beach sun life, shout out to San Diego our cousin’s… Can’t forget beautiful women life…. 7) Jersey City, NJ: I can see this, expensive apartments, condos, coops, especially by the water.. The view of looking toward New York City… Million dollar views… I see this definitely. 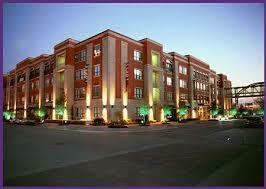 10) Oakland, Ca: Wow Oakland has come a long way… Expensive apartments to rent, very interesting…. 11) Boston, Ma: Those Bostonians do it again, making the list.. I see you guys, watching you guys and gals too (lol). 13) Brooklyn, NYC: Big Ups to Broooooookkkkllllllynnnnnnn…. 14) Manhattan, NYC: Tops the List...Of course, everything in Manhattan is expensive not just apartment…. Lavish lifestyle, I should know… Trust I should know…. Blackberry shares dipped a bit on Friday because of their mixed earning report for the end of the year quarter. Finishing down to $9.99. There seems that there is still a lot more work to be done as Blackberry is restructuring the company. The company did below what analysts had predicted of $1 billion dollars in revenue. Blackberry reported losing $148 in revenue in the 3 quarter. Blackberry executives expect the company to continue with either “break-even” or a little better route in their cash flow for 2015, but the Chairman/CEO John Chen expects Blackberry to hit profitability in the beginning of 2016. NIGERIA FEDERAL BANK INCREASES POSITION IN SUPPORTING NAIRA!!! The Nigerian Central Bank has placed currency traders in a tough position. As the Nigerian currency (Naira) slides, the Central Bank of Nigeria has indicated that currency traders will have to buy or sell their position in the Naira within the next couple of days, or be forced to sell it at the rate set forth by the Central Bank. 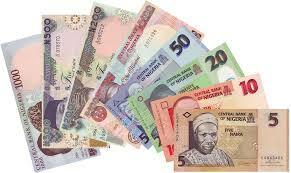 CBN (Central Bank) has also restricted some currency trading in efforts to boost the Naira. Tough sanctions will be followed if noone adheres to the rules set by the CBN (Central Bank of Nigeria) as well. Many currency traders, analysts, researchers and speculaters are seething to the tune of the declination fo the Naira, betting that the Naira will continue to derail against the US dollar. The Naira has been devalued to 168 to the dollar but it continues to slide none the less. The Nigerian economy is set to grow 5.5% this year set from the revision of 6.4% previously. This revision was set by the Nigerian finance ministry led by finance minister and renowned global economist Ngozi Okonjo-Iweala. AFRICA’S RICHEST BILLIONAIRE INVESTS $2BN IN NIGERIA OIL…. Energy is big business in Nigeria and in Africa in general. 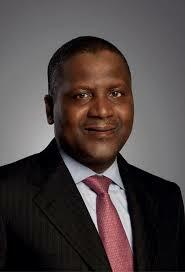 Billionaire Aliko Dangote, Africa’s richest man has invested $2 billion dollars in Nigeria’s oil refinery. It is Nigeria’s petrochemical and fertiliser plant. He has already invested $9 billion dollars in the refinery adding the recent $2 billion recently. This project has been noted by energy analysts as galvanizing and revolutionizing the energy sector in Nigeria. Nigeria’s refineries have had problems for decades, not being able to output oil to its full capacity, being unmanageable and the high rate of oil robberies and theft. Nigeria’s economy continues to expand and diversify especially within the past decade but the country is still relying on oil as it’s main producer… Nigeria’s is Africa #1 oil producer… Nigeria oil accounts for 90 percent of export earnings and 70 percent from its national GDP earnings. Mr. Dangote and his Dangote Group investing $2 billion in the oil refinery will position Nigeria to broaden its spectrum in the energy sector within and help ease the necessity of energy from being imported..
Financial market losses on Friday, sent currencies in Russia and Norway to fresh multiyear lows. Defining concrete losses to European equity indexes. The Stoxx Europe 600 index closed the session down 2.5 per cent, with the European subindex of oil and gas companies falling 3.6 per cent. London’s FTSE 100, which has a very high exposure to the oil and gas sector, declined 2.5 per cent and notched up its biggest weekly loss in around two years. Howevr the DAX in Frankfurt dropping 2.7 per cent and the CAC-40 in Paris ending down 2.8 per cent. In the U.S., the S&P 500 dropped more than 1 per cent in late European trade. 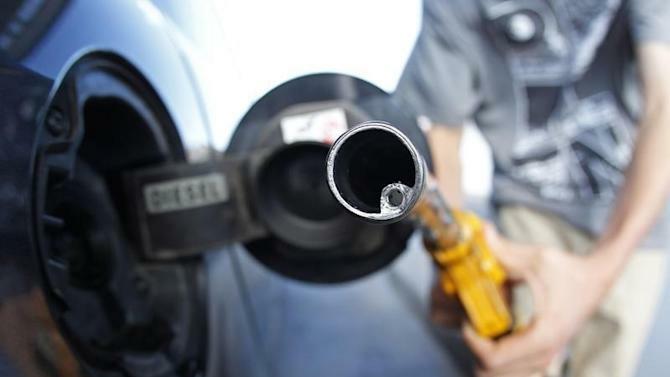 NEW YORK (Reuters) – Crude oil markets fell 3 percent or more to plumb new five-year lows on Friday after the world’s energy watchdog forecast even lower prices on weaker demand and larger supplies next year. Benchmark Brent oil settled at below $62 a barrel and U.S. crude slumped to under $58 to extend Thursday’s landmark fall below $60. Surging crude inventories in the United States and top oil exporter Saudi Arabia’s reiteration that it will not cut production had roiled prices over the last two days despite data pointing to strong U.S. economic recovery. On Friday, the Paris-based International Energy Agency which coordinates the energy policies of industrialised countries, cut its outlook for demand growth in 2015, triggering another collapse. The IEA slashed its outlook for global oil demand growth for 2015 by 230,000 barrels per day to 900,000 bpd on expectations of lower fuel consumption in Russia and other oil-exporting countries. It predicted that oil-producing nations outside of the Organization of the Petroleum Exporting Countries will add to global supplies. It also expected prices to fall further. “That’s just more bad news for the oil markets,” said Andrew Lipow, president of Houston-based Lipow Oil Associates. Brent settled down $1.83, or nearly 3 percent, at $61.85 per barrel. It fell to $61.35 during the session, the lowest since July 2009. U.S. crude finished down $2.14, or 3.6 percent, at $57.81. It fell earlier to $57.34, its lowest since May 2009. On the week, Brent lost more than $7, or about 11 percent. U.S. crude tumbled over $8, or 12 percent. Both markets have lost about 46 percent of their value since their June highs, when Brent stood at above $115 and U.S. crude at around $107. The IEA outlook had a greater impact on Friday’s market than data from U.S. oil services firm Baker Hughes showing the number of rigs drilling for oil in the United States were down by 29 this week, the biggest weekly drop in two years. Voluminous crude from U.S. shale projects has been blamed for much of the global oil glut now, and energy traders have been watching rig data to see if prices that have almost halved since June will prompt a cutback in drilling. Regulators in North Dakota, one of the largest shale oil producing states in the United States, also said on Friday the state’s crude production held steady in October despite strict new rules that aim to prevent wasteful burning of natural gas produced alongside oil.